Hunting with a bow weapon is a skill that primordial humans learned to hone instinctively as they didn’t have a better option to hunt wild game. Though using a bow for game hunting may seem somewhat of an oddity nowadays, especially when you’ve access to advanced rifles or guns, there are some obvious advantages of stalking with a bow. Firstly, you do away with all that toxic or polluting ammunition and the deafening noise. So, you do your bit for the environment every time you leave for a hunting trip with a compound bow. Hauling a bow is more comfortable than carrying a rifle and hence handling the former should seem easier. On the other hand, hunting is more challenging and demanding especially when you’re taking aim with a bow in comparison to a rifle. Therefore, you’d need to be an ace hunter to nail down a whitetail deer or an impala simply with a crossbow and an arrow. Since you’d need to have extraordinary skills to bow﻿-hunt under all weather conditions, you could do with abiding by the following bow hunting tips. As it is with guns or rifles, there are a variety of hunting bows including recurve bows, compound bows, and straight bows. You need to choose one that’d be appropriate to your needs and preferences. Factors that you need to take into consideration while opting for your hunting bow are its size, the type (compound, recurve or straight), and the draw weight (draw weight is the force you’ll need to exert to pull the cord of the bow up to a distance or length of at least 28 inches). ​Another factor or aspect that you cannot afford to ignore is the size of the arrow. The arrow’s length should be equal to the distance from the middle of the chest to the tip of the middle finger. A bow hunting tip that you should take into heed is that the type of equipment you’d generally use for training or practicing should be different from the weapon used for hunting. ​During your practice sessions, any bow which effectively fires an arrow that is strong enough to pierce the target made of wood or cardboard would suffice. And it follows from this that the required drawing weight would be much less as well. When it comes to targeting rabbits or turkeys, a recurve bow that has a draw weight amounting to 30-35 pounds would be par for the course. ​But for hunting elks and whitetail deer, you’d need a recurve weighing 40 pounds. For handling such a bow, you’d need to first train with a compound bow before graduating to use a recurve or straight one. ​Although this goes without saying, most learners suffer from the ‘putting-off’ syndrome where they limit their training to periods when the weather is nice and pleasant. What they fail to comprehend is that practicing hunting with a bow is not simple even in fair weather. So, obviously training becomes a real challenge when it is very windy or snowing heavily. Practicing consistently regardless of the state of the weather is indispensable if you want to pick up the skills and garner the experience that you’ll be exploiting as long as you hunt. Surely, there will be occasions when you’d feel like giving it all up but if you can stay the course, you’ll emerge the winner at the end of it all. Figuring out your limitations and trying to come to terms with the same is undoubtedly one of the most significant bow hunting tips that you’d need to be cognizant of. It could be that you manage to hit the target six times out of ten when you aim and shoot from a distance of say, 50-60 yards. But you’re wide off the mark when the target is farther away. Understandably, when weather conditions get worse, you may find it tough to take aim even from a short range. 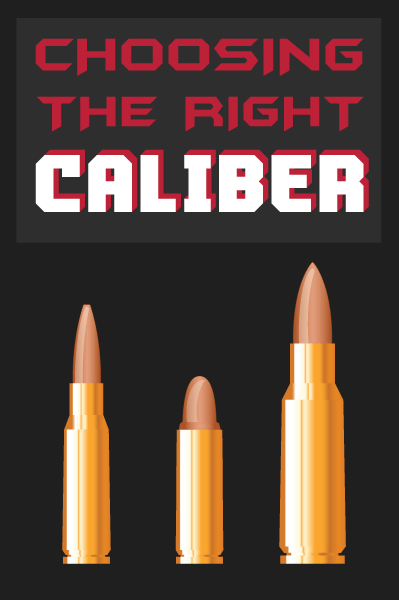 So, it’d be wiser for you to focus training in ranges you’re more comfortable with. Of course, when you leave for hunting expeditions, you may not always get the opportunity to release the arrow from a close range as oftentimes your quarry will be quite far off. However, you can make up for this shortcoming by stealthily stalking closer to the game and then patiently waiting for the opportune moment to shoot. In order to make out the distance you’re most comfy shooting at, try taking shots from various distances. The bow will be delivered to you in a form where the cord does not come attached or stringed. You’d need help from a professional archer or hunter who can string the bow in a manner that’ll be convenient for you. You can check out whether your bow is appropriately tuned by shooting field-point, judo-point, and blunt-point arrows. Actually these are arrowheads or points that you’d normally use for target practicing. Only after you’ve gained the expertise of shooting with field-point arrows, do you graduate to using broadheads that are exclusively used for big game hunting. Learn to tune your bow perfectly will be an integral element of any tutorial on bow hunting tips you follow. The central idea behind using a bow for hunting is obviously to hit the target and/or fell the game. Or else, there’s no point in taking aim if you happen to miss your target every time you shoot an arrow no matter how sophisticated your weapon is. The thrust of your training should be to become as accurate as you can for which you wouldn’t need a very sophisticated bow. It is very important that you start training with the right sort of equipment. If your hand gets set in using a bow that isn’t appropriate for you, then you might have trouble getting adjusted to the ideal equipment later on. Begin your sessions with a bow that is remarkably hefty and long as you’ll find it more flexible to use particularly if you’re very good in taking aim. Using a superlight and taut bow right from the beginning will make it difficult for you to handle a heavier one that’ll actually come in handier during the hunting season. You may have marveled at the shooting skills of an ace hunter or archer who is able to pierce the target from a distance of 100 yards even before you could blink your eyes. However, you should do well to keep it in your mind that the sharpshooter had to practice relentlessly for years to sharpen his or her skills. At the outset, attempt to practice releasing the arrow from closer distances where chances of missing are comparatively lesser in contrast to shooting from afar. If you try to emulate the seasoned hunter when your skills are still raw will result in arrows flying all over the place at breakneck speeds but miss the wood for the trees. Ethical hunting implies killing your game instantaneously causing the animal minimal pain and torture which can happen only if you’re accurate with your shots. You can tune your bow in a fashion to make it perfect for shooting arrows at lightning speeds or ejecting these with accuracy. If it’s a toss-up between accuracy and speed, always choose the former because slaying a deer with a field-point arrow is always acceptable than butchering her with a broadhead. This again is one of the most practical bow hunting tips that you should take into consideration. The significance of training with repetitive shots does not need to be exaggerated but in reality you’ll have to hunt down your game with a single shot. You’ll rarely get a second chance to take a potshot at a blackbuck or gazelle. Therefore, you should fine-tune your training sessions by shooting at least one arrow, preferably a broadhead once at the beginning and another at the end. Maintain this trend for nothing less than two months before the onset of the hunting season. Just decide on a distance, set up a target, and continue taking aim assiduously. And in order to perfect your perfection, increase the distance between yourself and the target on a stepwise basis. Closing up, it won’t be out of place to iterate that bow hunting is in our blood and entrenched in our system. Just try to visualize our ancestors bringing down a mammoth to its knees simply with a crude bow and arrow and you’re sure to have an adrenaline rush. The thrill of hunting down a wild boar or a whitetail deer in pin-drop silence and without creating a flutter is simply exhilarating. The bow hunting tips outlined above, it is expected, will go a long way in bringing out the bowman in you. 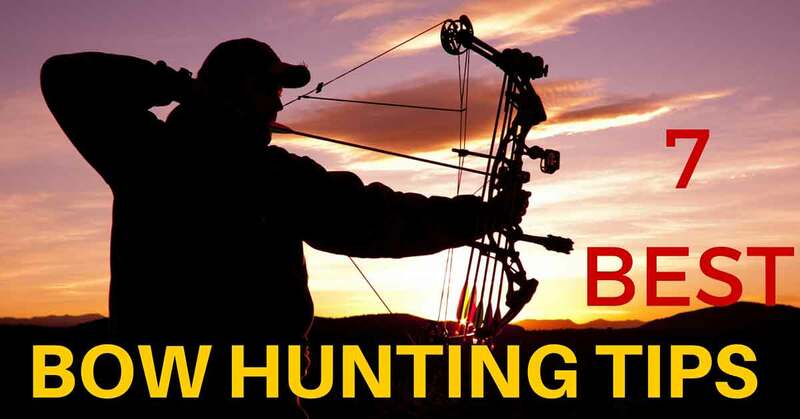 The bow hunting tips will let you zero down on a bow that is ideal for you and bring you within earshot of becoming the 21st-cent Robin Hood.